Children love having their grandparents around because there is so much that they learn from them. Grandma's hugs and homely cooking, or grandpa's interesting stories are incomparable to anything else. 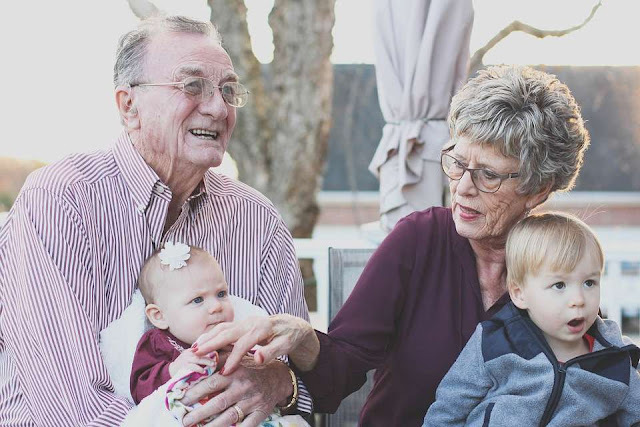 Many grandparents live far away and meeting them becomes a novelty of sorts, but grandparents who live nearby are always on hand to babysit and help out with the grandchildren. A recent study shows that these 'hands-on grandparents’ tend to lead more fulfilling lives and so live longer. Data that was published in Evolution and Behaviour from the Berlin Aging Study carried out on 500 senior citizens, discovered that those seniors who took care of children, irrespective of whose children they were, had a lower risk of death. They had a 20-year advantage over those who did not help out. More research needs to be done to determine what exactly increases the life expectancy of these senior helpers but there are a number of logical explanations that researchers offer. When grandparents spend time with their grandchildren, they are more alert so this naturally keeps them mentally active. Children tend to engage them in a lot of activities which also helps them physically and provides them with a sense of purpose. The spontaneous love of grandchildren for their grandparents keeps the heart stronger too. However, the study also states that grandparents should be wary of overdoing things. Very often in their enthusiasm to be a part of their grandchildren's lives, they could end up harming themselves more than reaping the health benefits of this interaction. Dr. Factora further states; “You want to make sure that you find that right balance where you are doing what you can to stay active, doing good for the folks that you're helping out with, but don't do too much where you get to the point where you're overly stressed."